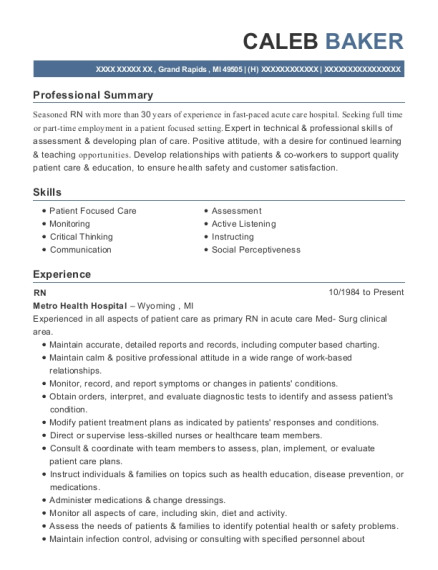 Seasoned nurse with more than 30 years of experience in the nursing industry including acute and long term care, as well as, surgical experience. Areas of expertise include time management and assessment. Communicate with families when needed on shift. Completed forms in accordance with company procedures. Process doctor orders and file lab results. Trained Nurses who filled in for night shift. 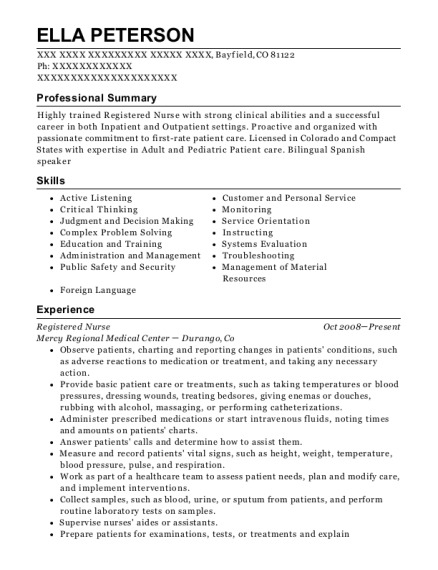 This is a resume for a Night Shift RN Charge Nurse in Wilson, Kansas with experience working for such companies as Golden Living Center and Ellsworth Memorial Hospital. 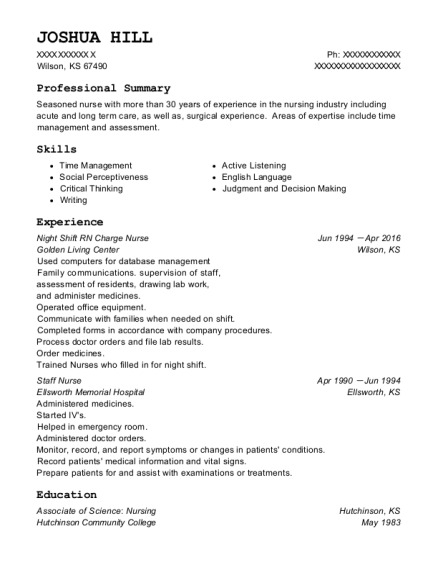 The grade for this resume is 0 and is one of hundreds of Night Shift RN Charge Nurse resumes available on our site for free. 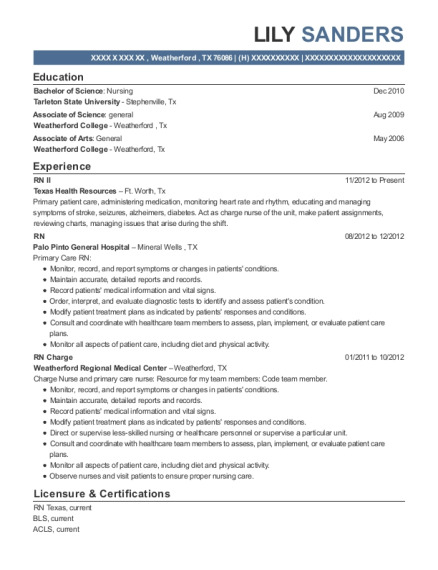 Use these resumes as templates to get help creating the best Night Shift RN Charge Nurse resume.